9.Usage It is mainly used for smelting metal chromium and chromium carbide. Used for enamel and ceramic glaze. Artificial leather, construction materials and other stains. 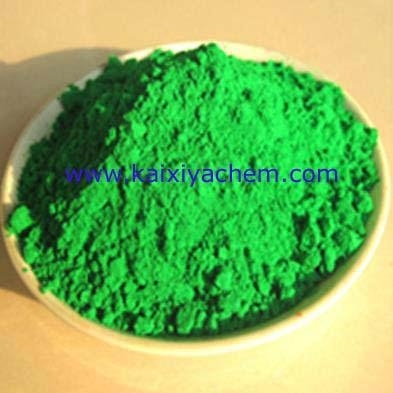 Used in the manufacture of fast coating, abrasive, green polishing compound and a special ink printing money. Used as a catalyst in organic synthesis. Is advanced green paint. Also used as a catalyst, analytical reagent.